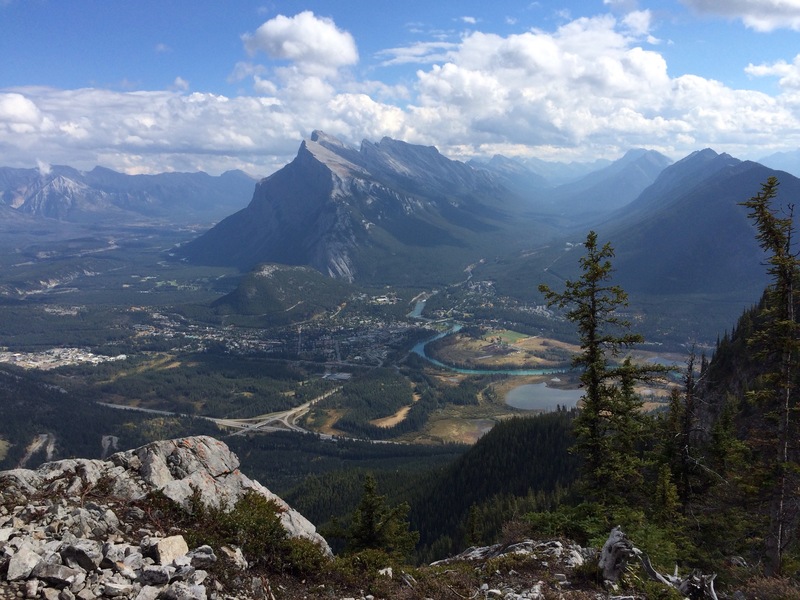 Are you planning to visit Banff, Canada? Are you ready to have a little adventure? 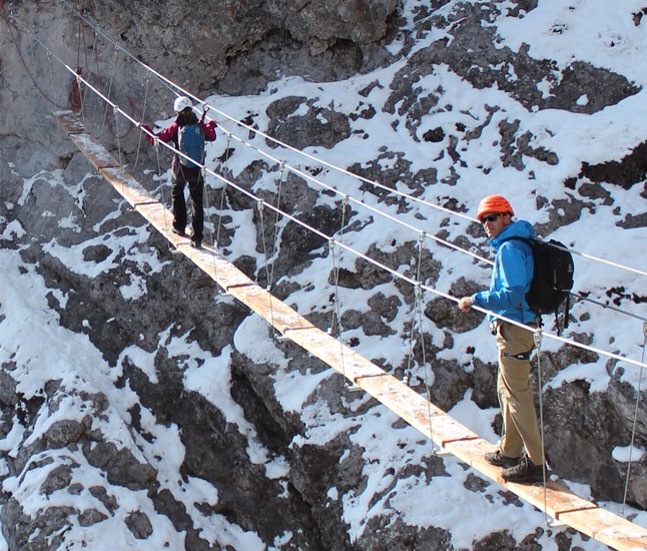 Then you have to make make time for the Via Ferrata. 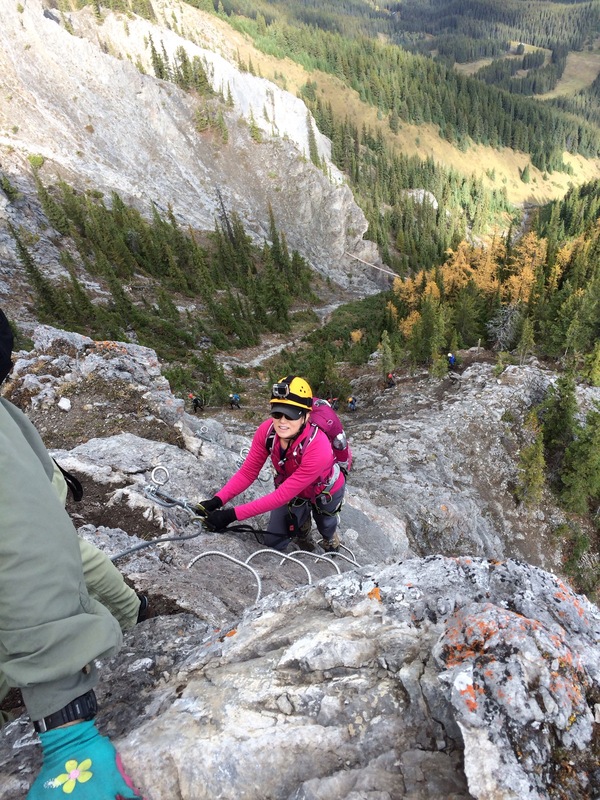 The Iron Road is a series of ladders, holds and cables which are set in the mountain and are used to climb to the top of The Norquay cliffs. Our good friends, Greg and Joyclynn, immediately said Yes! when Superman sent an email asking if they’d like to join us. 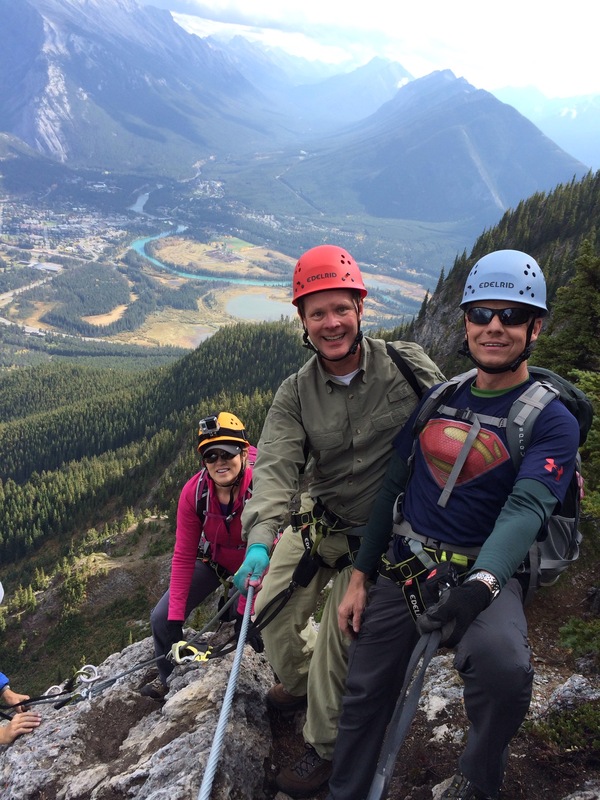 The certified guides helped strap us in our harnesses, helmets and gloves. (Even ones with pretty little flowers on them…You Da Man Greg!) We took the chairlift to the start of the four hour adventure. 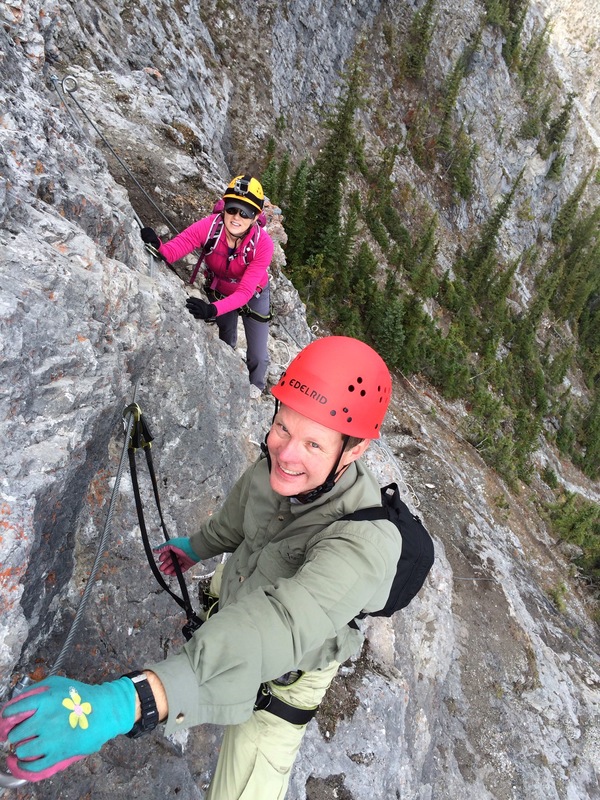 Although there are rungs and foot holds to grab onto if you wanted, this is a moderate climb for the average Mary. No one is pulling you up. You use your upper and lower body muscles to get yourself to the next level. And when you do get to the next ridge and you take a look at the scenery around you….the beauty will take your breath away. The higher you get, the better the view. Hey, Look at me Ma! One hand!! Even though I’m not completely comfortable with heights, I never felt scared. 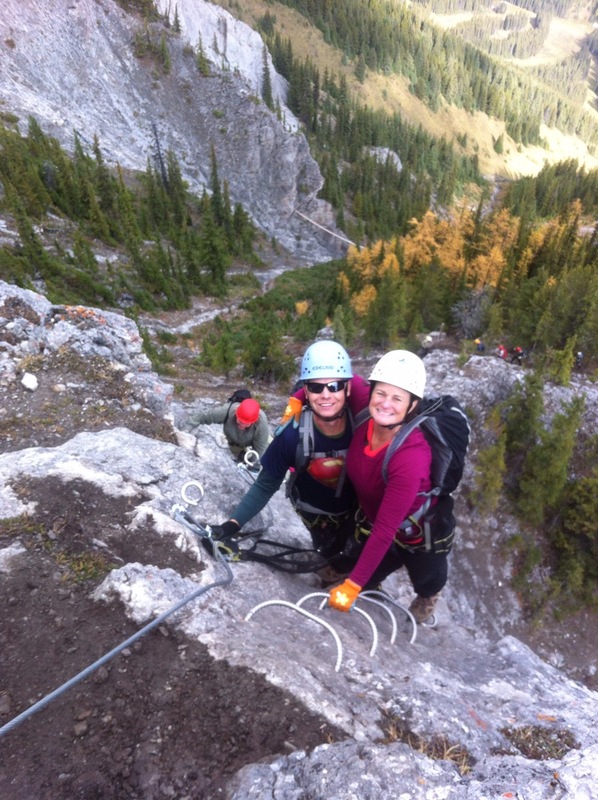 Safety is the Via Ferrata’s number one priority. 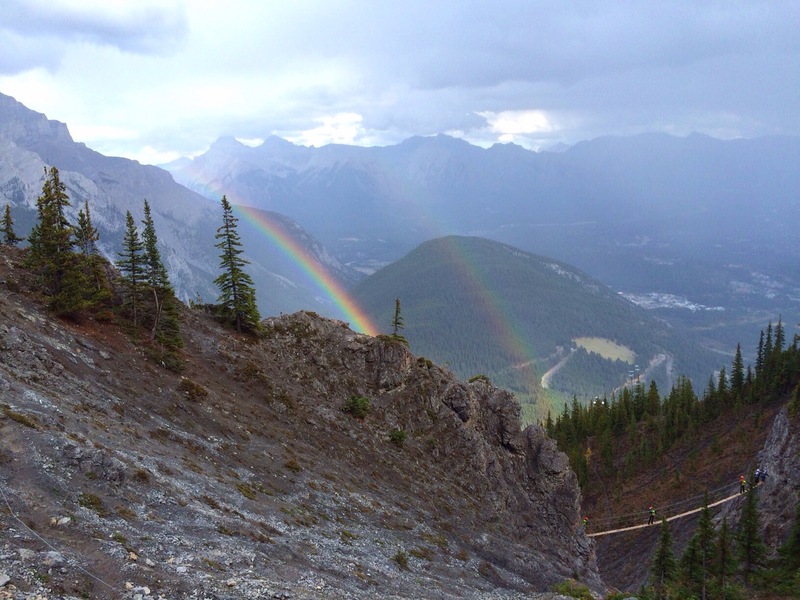 As an added bonus, we saw this beautiful double rainbow! You never know how much you are capable of doing until you get out there and do it. He’s definitely opened my eyes to what this old body can do. In fact, I think my body can do just about anything, it’s my mind that trips me up. I’m glad he’s around to keep challenging me. 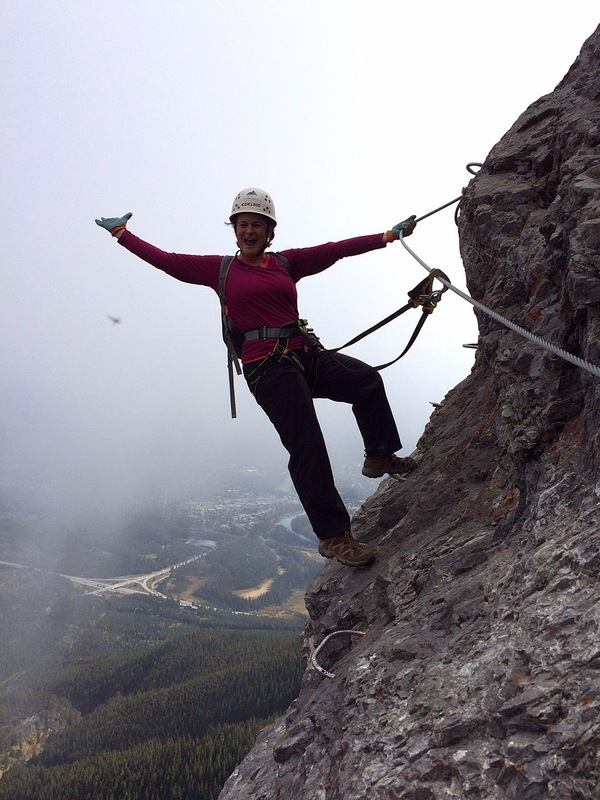 Posted on September 26, 2014 by mary •	This entry was posted in Travel and tagged adventure, Banff Canada, climbing, hiking, Via Ferrata. Bookmark the permalink. I think I would never dare to do this but it looks amazing! It does take you out of your comfort zone, but if your ready for a challenge…GO FOR IT! Another wonderful memory made with you guys!